Have a look below at our Forza support resources to see if your question or issue has already been answered. Where can I find support for Forza Horizon 3? 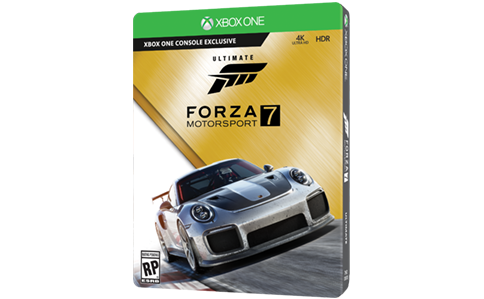 Where can I find technical support for Forza Motorsport 6: Apex? Where can I find the Forza Motorsport 6: Apex quick facts section within the Forza Forums? 3. Does Turn 10 read the wish lists? Yes, we do. Your feedback is valued and members of Turn 10 do read forum posts. That doesn’t mean that everything on a wish list is going to go into a future title. 4. Does anyone read posts on the forums? We do. Just because a thread has not been commented in, does not mean it hasn’t been read. Forum members often alert us when there is a problem with either the forums or one of the Forza games and we do our best to fix the problem as soon as possible. If you are having a problem, you can also contact a moderator. They may be able to help or direct you to an appropriate thread where you can voice your issue. 6. Where can I learn about Forza News? The news articles that come out weekly on the news page are an excellent way to learn about the latest Forza features, upcoming DLC, contest dates, rivals events, and in game race challenges. See the “Community” tab on the forums and the “News” section in the drop down menu. The Forza streams on Twitch (http://www.twitch.tv/forzamotorsport) and Twitter alerts (www.twitter.com/Forzamotorsport) can also be a good source of news as well as the Forza Hub game app. 7. Where can I find Forza contests to enter? On the Forza Motorsport Forums under the “News & Events” section there is an area called “Community Events”. Community Events will have threads posted for current Forza game contests. Contests are generally game specific, so please keep this in mind when choosing which contest to enter.